Maybe I spent too much time hovering over cartons of ice cream as a kid, but I've always thought chocolate, vanilla and strawberry, all lined up just so, made a lovely color combination. 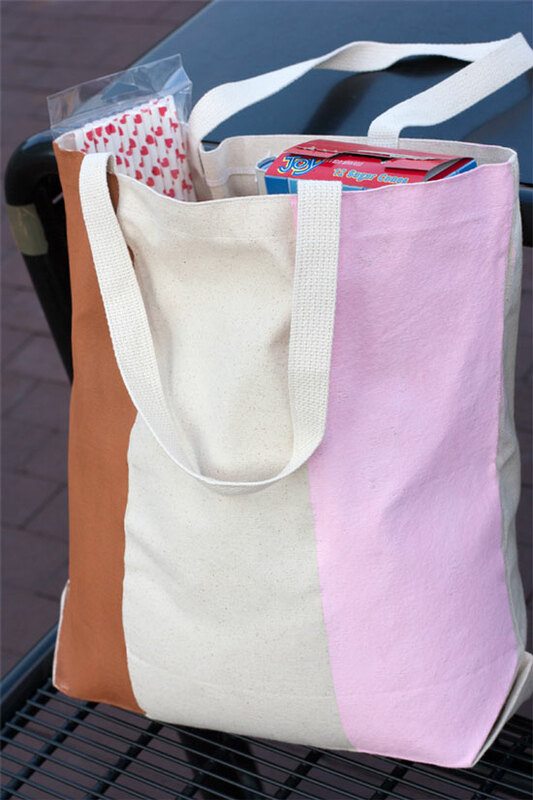 So I took that Neapolitan inspiration and added a little summer fun to an otherwise basic tote bag. It's perfect for hauling goods to the beach, to the park or better yet, to an ice cream party. 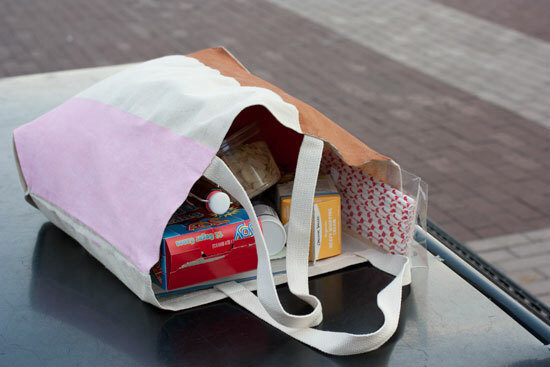 Divide the tote bag into three equal sections with painter's tape. Line the bag in case the paint seeps through. Paint one section pink, one brown and leave the middle section unpainted. Let it dry overnight, remove tape and you're done! Super cute, and easy to do! I can't believe this is hand made! It's really cute. Thanks, Hollie! It's super simple. I have a plain canvas bag! I'm totally doing this!